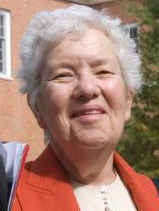 B' e reuladair às na Stàitean Aonaichte a bha ann am Vera Rubin. Bha i ainmeil airson a taisgealadh gu bheil reultan air òir an reul-chriosa a' gluasad nas luaithe na bha dùil. Treòraich a taisgealadh luchd-saidheans a' bhith stutha dorcha a mholadh. Bha i na h-oileanach aig Colaiste Vassar, Oilthigh Chornell agus Oilthigh Georgetown far an do sgrìobh i an tràchdas aice agus theagaisg i deich bliadhna. Dh'imrich i don Institiud Charnegie ann an 1965. Bhuannaich i am Bonn Nàiseanta Saidheans (na Stàitean Aonaichte) ann an 1981 agus Bonn Òir a' Chomann Rìoghail Reul-Eòlais ann an 1996, a' chiad bhean an dèidh do Charoline Herschel ann an 1828. ↑ “Vera Rubin, pioneering astronomer, dies at 88”. BBC. Air a thogail 30mh dhen Dùbhlachd 2016. ↑ 2.0 2.1 “Vera Rubin Who Confirmed "Dark Matter" Dies”. Institiud Charnegie. Air a thogail 30mh dhen Dùbhlachd 2016. ↑ “Winners of the Gold Medal of the Royal Astronomical Society”. Comann Rìoghail Reul-Eòlais. Air a thogail 30mh dhen Dùbhlachd 2016. Air a tharraing à "https://gd.wikipedia.org/w/index.php?title=Vera_Rubin&oldid=538187"
Chaidh an duilleag seo a dheasachadh 23 dhen Lùnastal 2017 aig 20:00 turas mu dheireadh.